On 01/09/19 generated a�Bullish MA Crossover Opportunities�signal at the entry price of�13.89. After�28�days, the latest closing price is 14.22. The current return for�Invesco Preferred ETF�is�2.38%. It is currently a�winning�trade. After two weeks of trading, Invesco Preferred ETF had returned�1.08%�on investment.�After a month,�2.38%. The trade is currently open. Invesco Preferred ETF�is�a�2.38%�gain. On 01/01/19 generated a�Bullish CCI Opportunities�signal at the entry price of�13.47. After�36�days, the latest closing price is 14.22. The current return for�Invesco Preferred ETF�is�5.57%. It is currently a�winning�trade. After two weeks of trading, Invesco Preferred ETF had returned�3.86%�on investment.�After a month,�5.57%. The trade is currently open. Invesco Preferred ETF�is�a�5.57%�gain. The trade is currently closed. Invesco Preferred ETF�was�a�4.08%�gain. The trade is currently closed. Invesco Preferred ETF�was�a�4.34%�gain. The trade is currently closed. Invesco Preferred ETF�was�a�-5.52%�loss. On 07/24/18 generated a�Bearish CCI Opportunities�signal at the entry price of�14.53. After�197�days, the latest closing price is 14.22. The current return for�Invesco Preferred ETF�is�2.13%. It is currently a�winning�trade. After two weeks of trading, Invesco Preferred ETF had returned�0.62%�on investment.�After a month,�-0.21%. The trade is currently closed. Invesco Preferred ETF�was�a�4.40%�gain. On 07/20/18 generated a�Bullish CCI Opportunities�signal at the entry price of�14.63. After�201�days, the latest closing price is 14.22. The current return for�Invesco Preferred ETF�is�-2.80%. It is currently a�losing�trade. After two weeks of trading, Invesco Preferred ETF had returned�-1.03%�on investment.�After a month,�-0.82%. The trade is currently closed. Invesco Preferred ETF�was�a�-5.60%�loss. The trade is currently closed. Invesco Preferred ETF�was�a�-5.15%�loss. The trade is currently closed. PowerShares Preferred Portfolio�was�a�-5.12%�loss. The trade is currently closed. PowerShares Preferred Portfolio�was�a�-5.26%�loss. On 05/07/18 generated a�Bullish CCI Opportunities�signal at the entry price of�14.43. After�275�days, the latest closing price is 14.22. The current return for�PowerShares Preferred Portfolio�is�-1.46%. It is currently a�losing�trade. After two weeks of trading, PowerShares Preferred Portfolio had returned�0.07%�on investment.�After a month,�1.32%. The trade is currently closed. PowerShares Preferred Portfolio�was�a�-5.06%�loss. The trade is currently closed. PowerShares Preferred Portfolio�was�a�4.48%�gain. The trade is currently closed. PowerShares Preferred Portfolio�was�a�-5.41%�loss. The trade is currently closed. PowerShares Preferred Portfolio�was�a�4.40%�gain. The trade is currently closed. PowerShares Preferred Portfolio�was�a�-5.05%�loss. The trade is currently closed. PowerShares Preferred Portfolio�was�a�-5.64%�loss. The trade is currently closed. PowerShares Preferred Portfolio�was�a�3.86%�gain. The trade is currently closed. PowerShares Preferred Portfolio�was�a�-5.46%�loss. The trade is currently open. PowerShares Preferred Portfolio�is�a�4.95%�gain. The trade is currently closed. PowerShares Preferred Portfolio�was�a�-5.14%�loss. The trade is currently open. PowerShares Preferred Portfolio�is�a�4.56%�gain. The trade is currently open. PowerShares Preferred Portfolio�is�a�4.76%�gain. The trade is currently open. PowerShares Preferred Portfolio�is�a�4.69%�gain. The trade is currently open. PowerShares Preferred Portfolio�is�a�5.33%�gain. The trade is currently closed. PowerShares Preferred Portfolio�was�a�-5.59%�loss. On 10/03/17 generated a�Bearish CCI Opportunities�signal at the entry price of�15.02. After�491�days, the latest closing price is 14.22. The current return for�PowerShares Preferred Portfolio�is�5.33%. It is currently a�winning�trade. After two weeks of trading, PowerShares Preferred Portfolio had returned�-0.27%�on investment.�After a month,�0.33%. The trade is currently open. 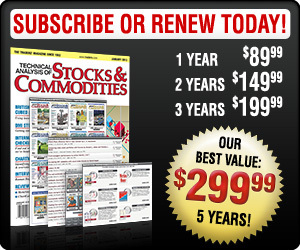 PowerShares Preferred Portfolio�is�a�5.20%�gain. The trade is currently open. PowerShares Preferred Portfolio�is�a�5.45%�gain. The trade is currently closed. PowerShares Preferred Portfolio�was�a�-5.18%�loss. The trade is currently closed. PowerShares Preferred Portfolio�was�a�4.80%�gain. The trade is currently closed. PowerShares Preferred Portfolio�was�a�-5.09%�loss. The trade is currently closed. PowerShares Preferred Portfolio�was�a�-6.30%�loss. The trade is currently closed. PowerShares Preferred Portfolio�was�a�-5.89%�loss. The trade is currently closed. PowerShares Preferred Portfolio�was�a�-5.77%�loss. The trade is currently open. PowerShares Preferred Portfolio�is�a�6.75%�gain. The trade is currently closed. PowerShares Preferred Portfolio�was�a�-6.14%�loss. The trade is currently closed. PowerShares Preferred Portfolio�was�a�4.12%�gain. The trade is currently closed. PowerShares Preferred Portfolio�was�a�4.25%�gain. The trade is currently closed. PowerShares Preferred Portfolio�was�a�-5.21%�loss. The trade is currently open. PowerShares Preferred Portfolio�is�a�5.64%�gain. The trade is currently closed. PowerShares Preferred Portfolio�was�a�3.64%�gain. The trade is currently closed. PowerShares Preferred Portfolio�was�a�3.67%�gain.